#1 New York Times bestselling author Sarah J. Maas started a worldwide phenomenon when she published her debut novel, Throne of Glass. To date, Sarah’s books have spent more than 92 weeks on the New York Times bestseller list and she has hit #1 on charts around the world. Her books have sold more than seven million copies and have been translated into 36 languages. Throne of Glass alone has sold over one million copies. Now you can own this epic fantasy classic in a deluxe hardcover collector's edition. 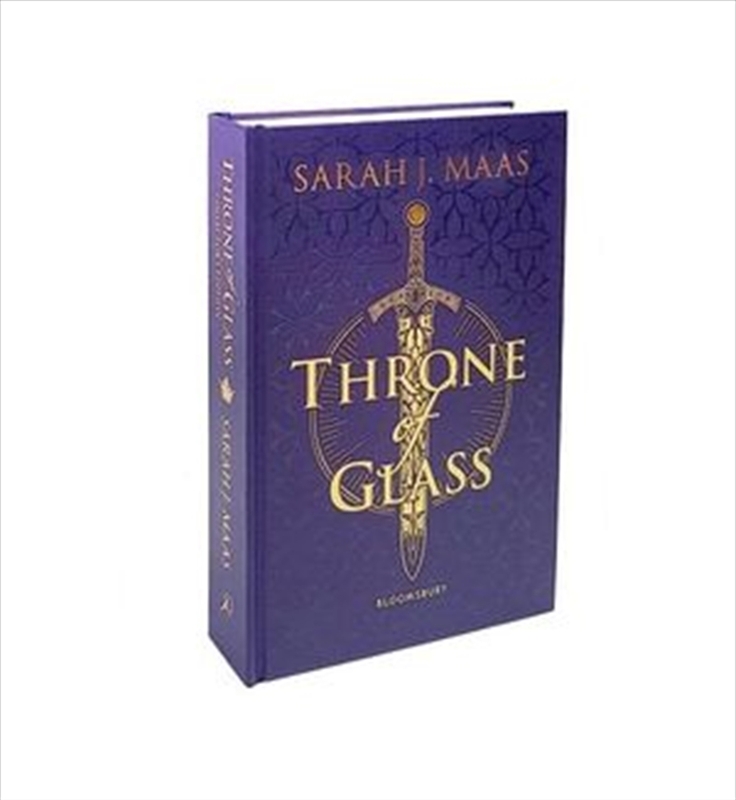 Throne of Glass begins the sweeping saga of assassin Celaena Sardothien, who is serving a life sentence in the mines of Endovier – until a young captain of the guard offers her a deal. She will have her freedom, on one condition: she must fight to win a deadly competition to serve as the champion of the king. The king who rules his kingdom with a cruel and merciless hand.